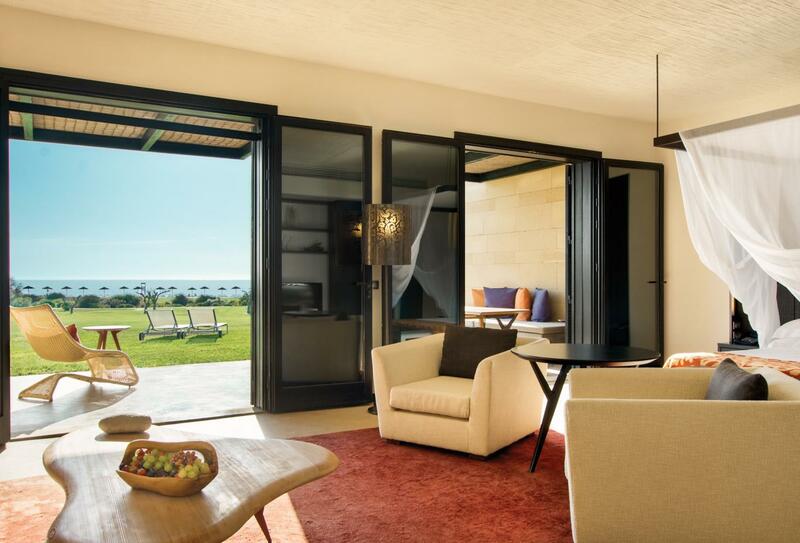 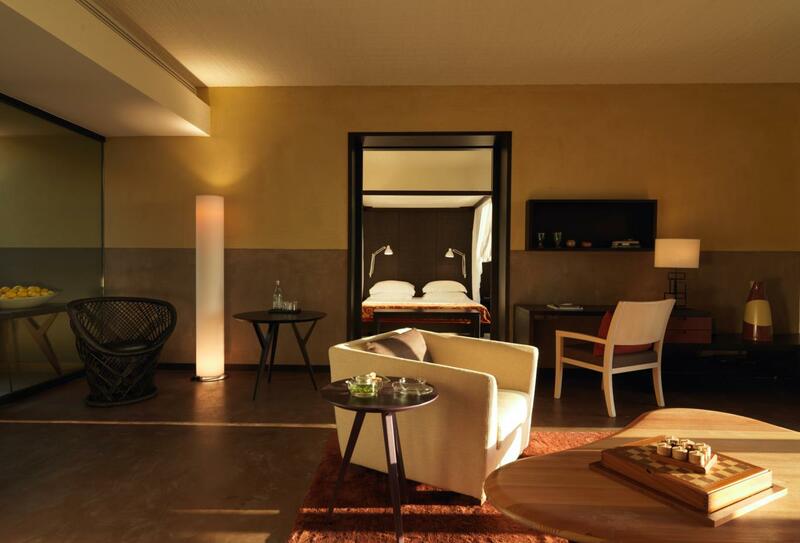 Located on the south coast of Sicily, the Verdura Resort has a number of luxurious rooms and suites that offer both space, ultimate privacy plus first-class amenities; it's family friendly and features comprehensive leisure facilities including a children’s club. 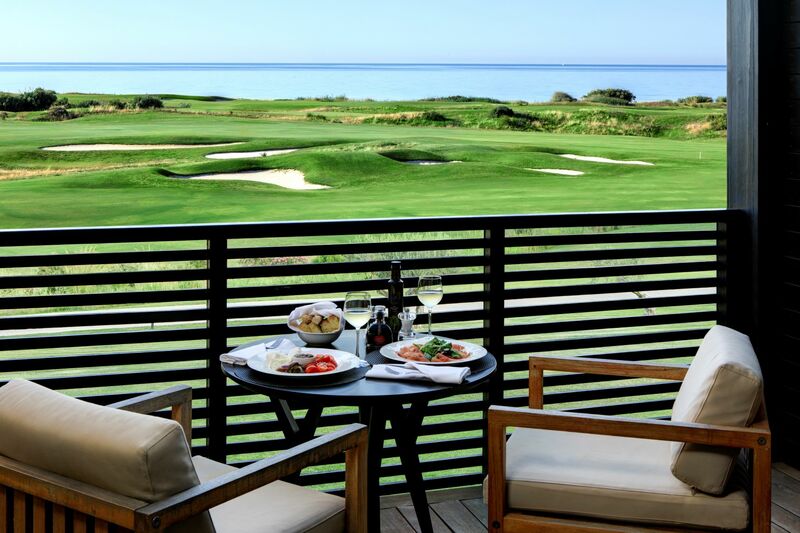 There are lots of activities to take part in including tennis, golf, culinary school as well as having their very own escape room. 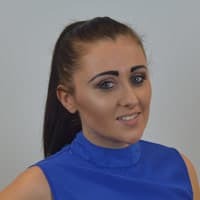 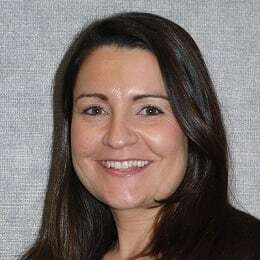 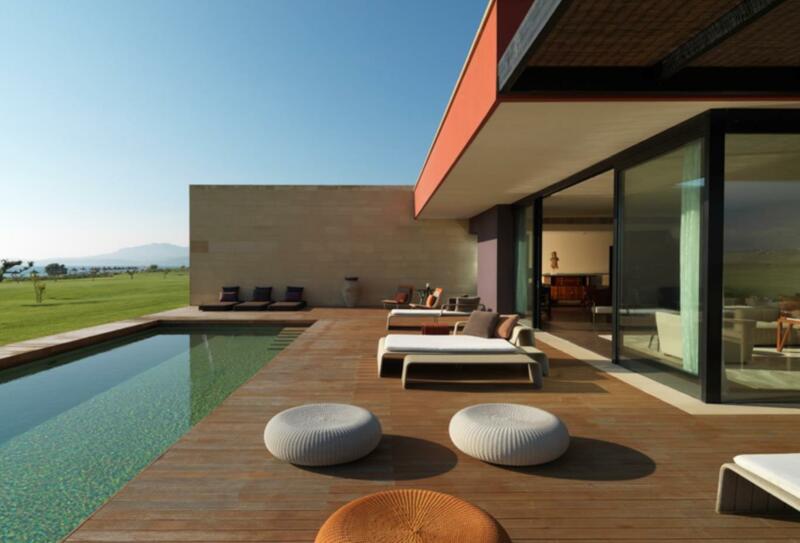 There are also a number of academies for children including tennis, football, archery and hip-hop dancing. 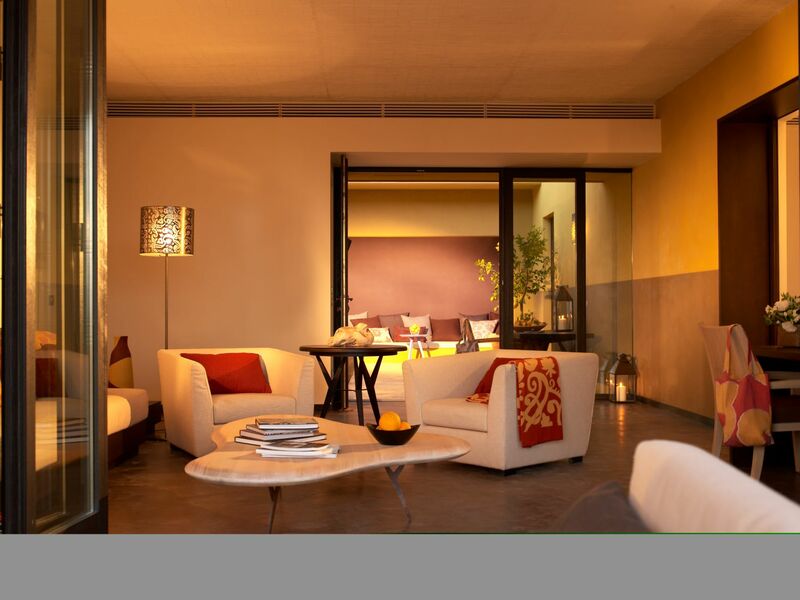 The resort is home to a number of restaurants and bars and is only a short distance from all the local sites and attractions. 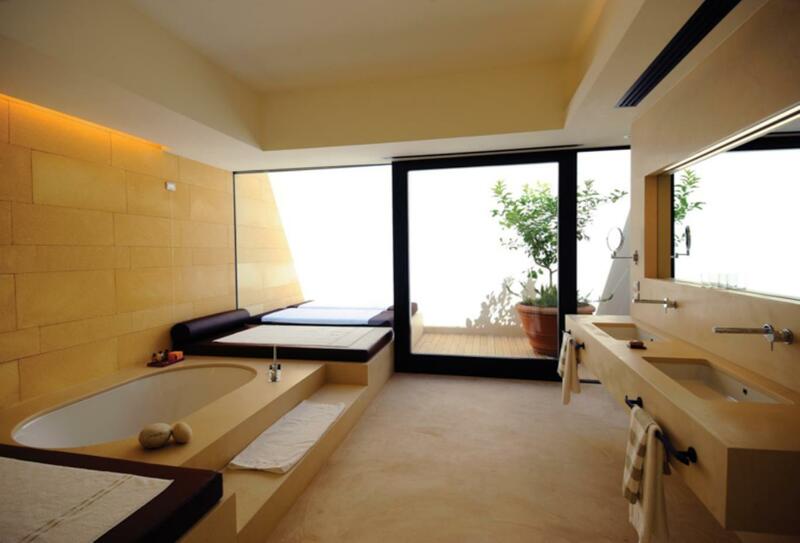 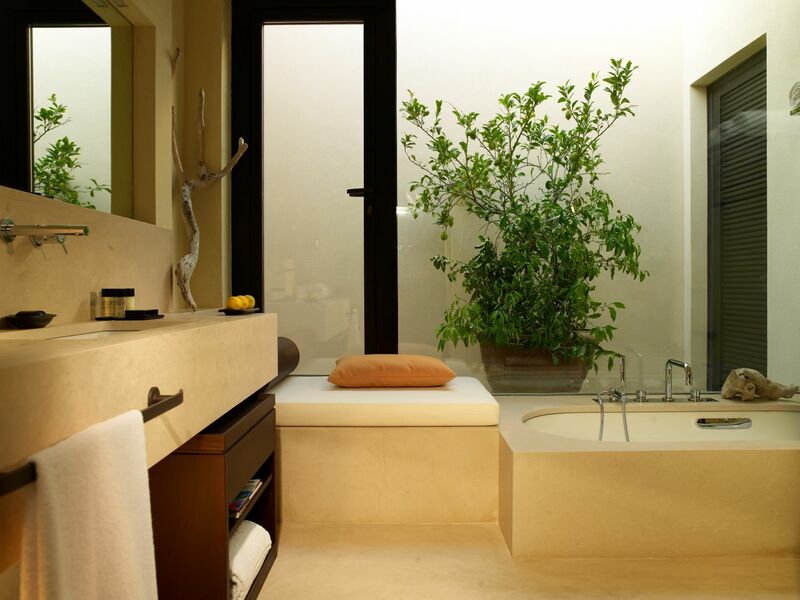 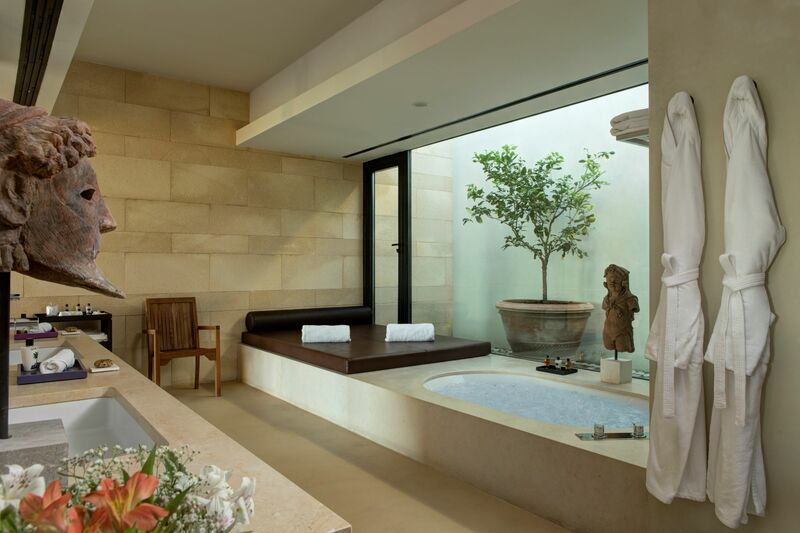 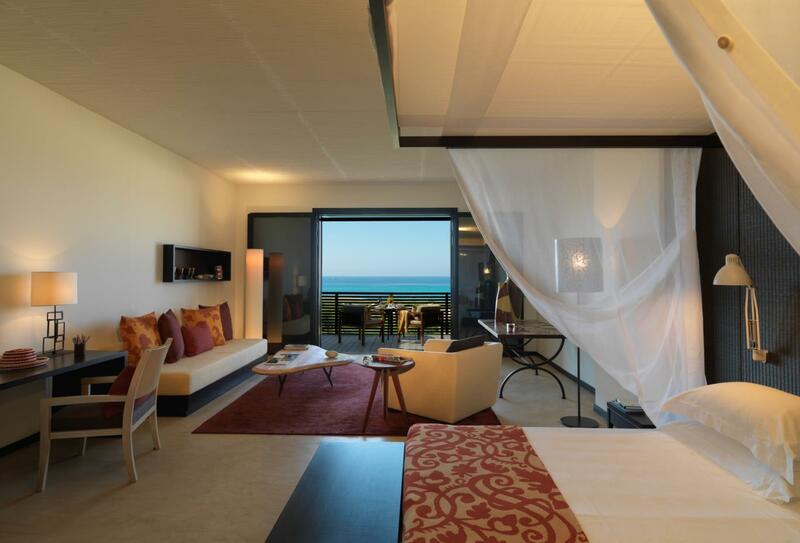 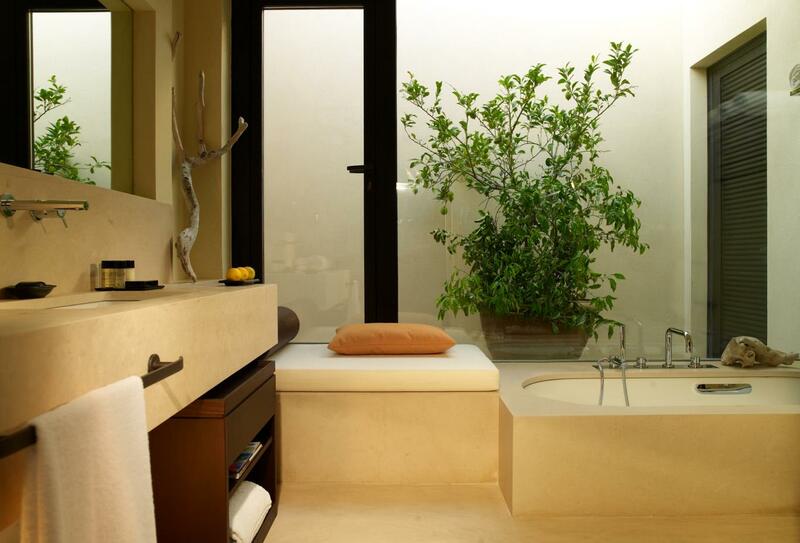 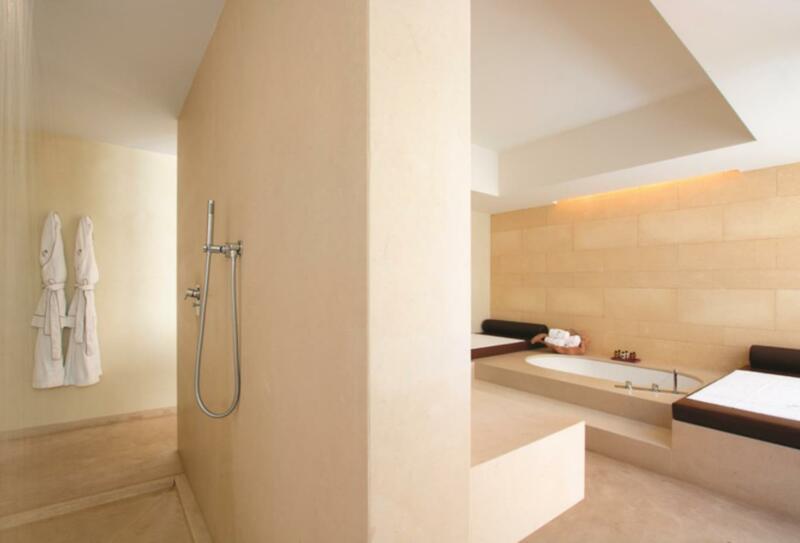 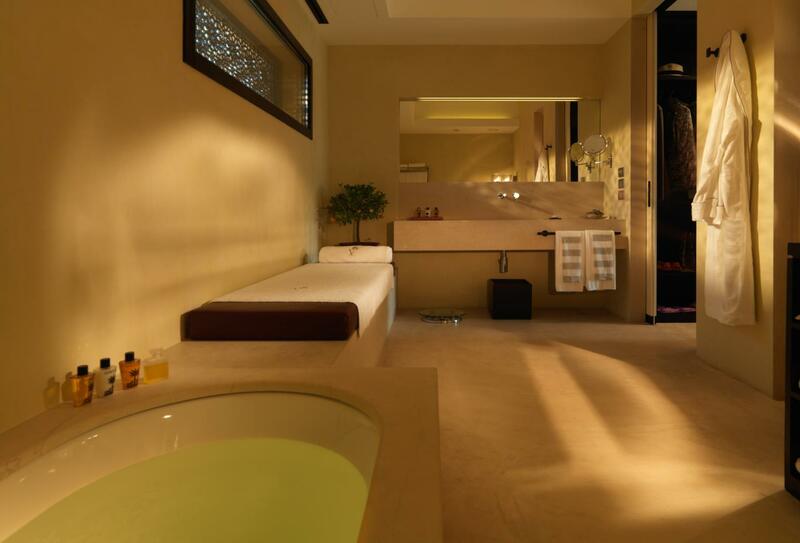 The Deluxe room offers sea views from the private terrace and has a bathroom with separate tub and walk-in shower. 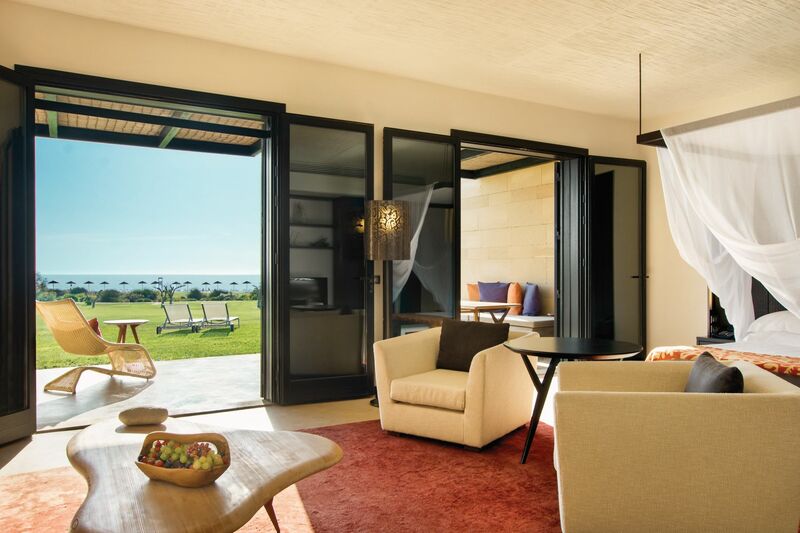 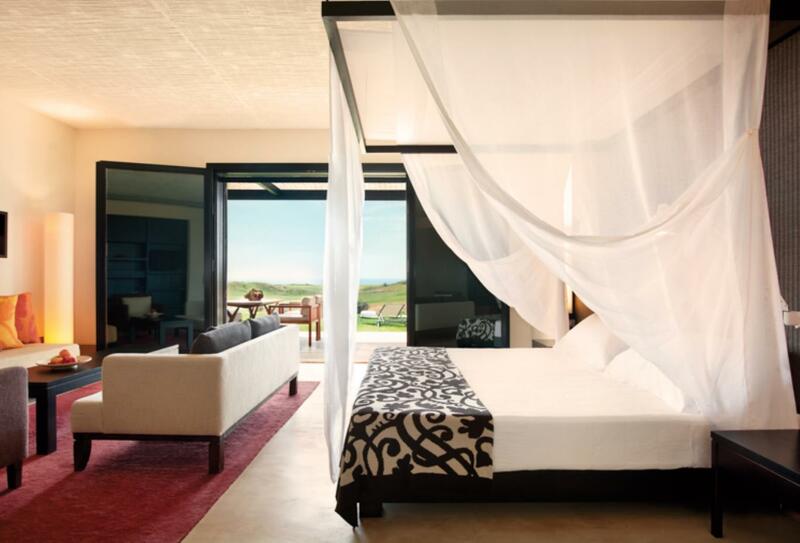 The Superior Deluxe rooms at the Verdura features either a king-size or twin beds, a private ground floor terrace and views of the golf course and sea. 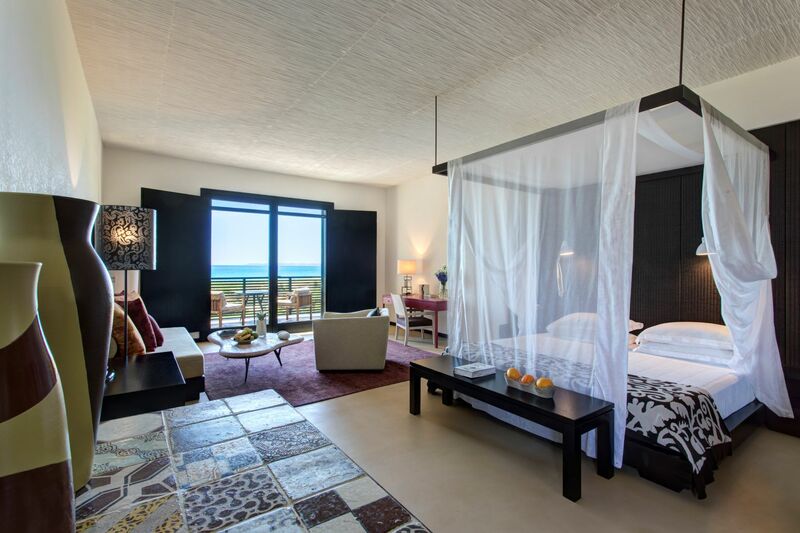 Superior Deluxe Sea Front rooms are located on the first floor and have views across the ocean from a private terrace. 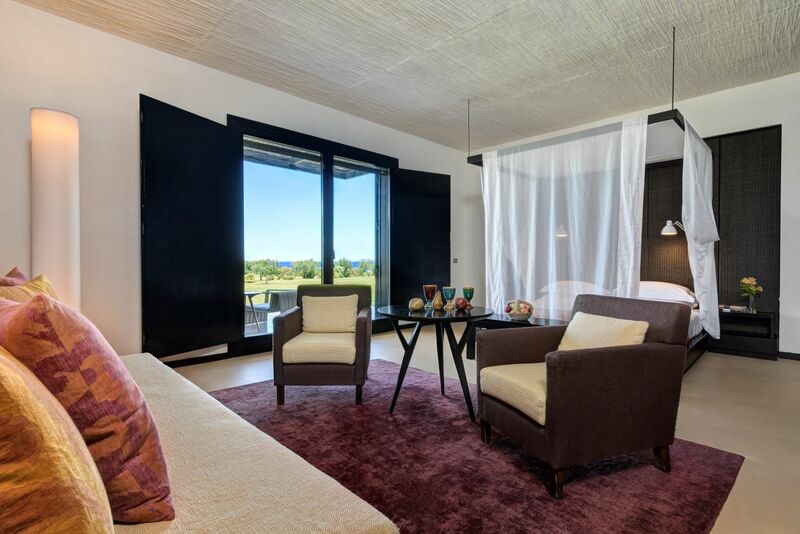 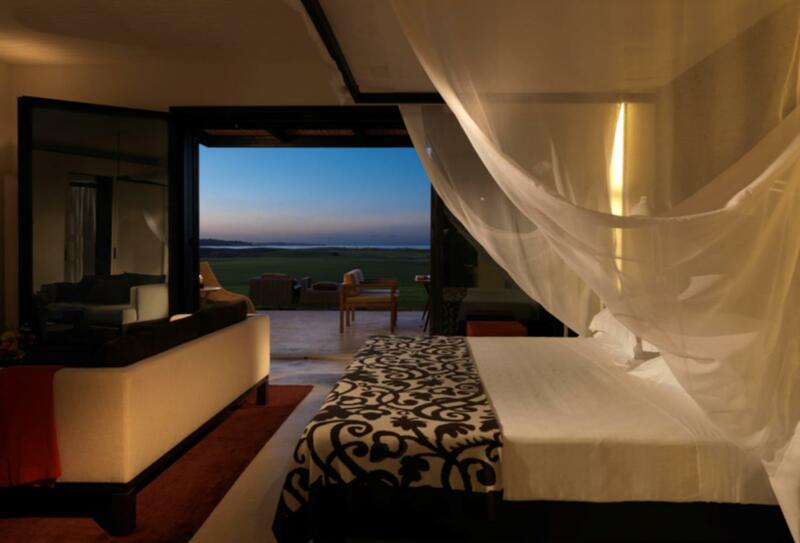 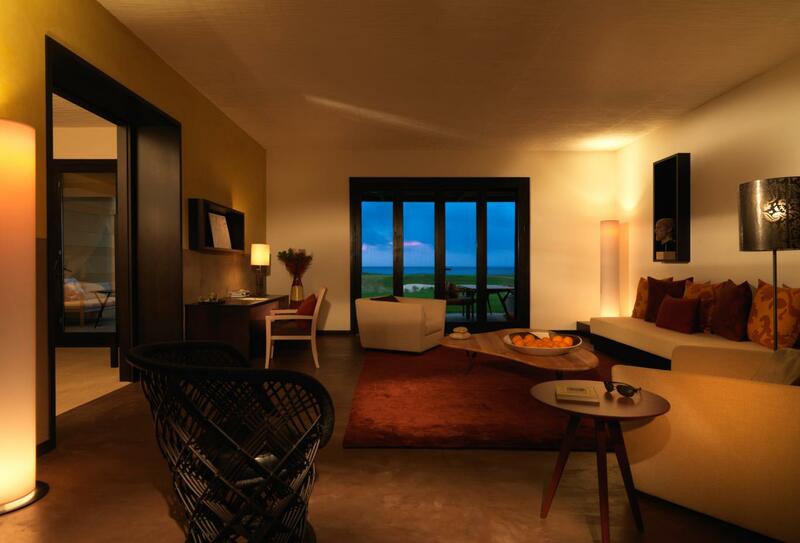 The junior suite features a king-size or twin beds, a seating area and a private terrace with golf course and sea views. 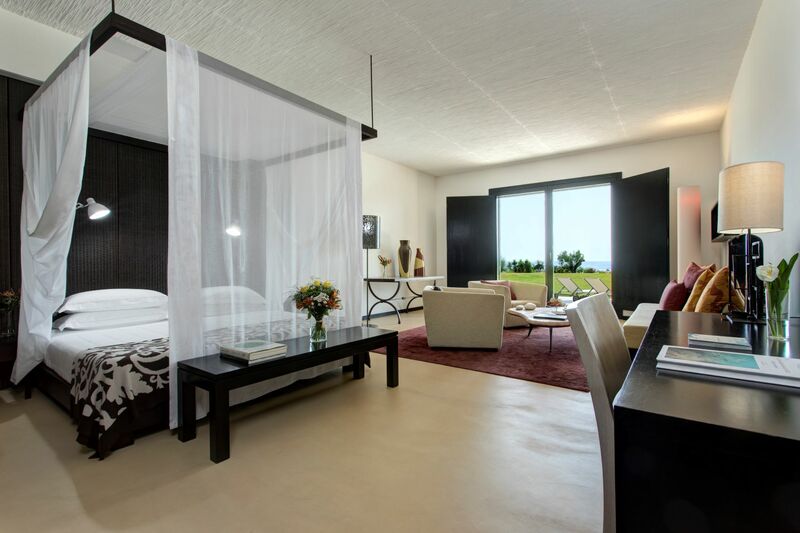 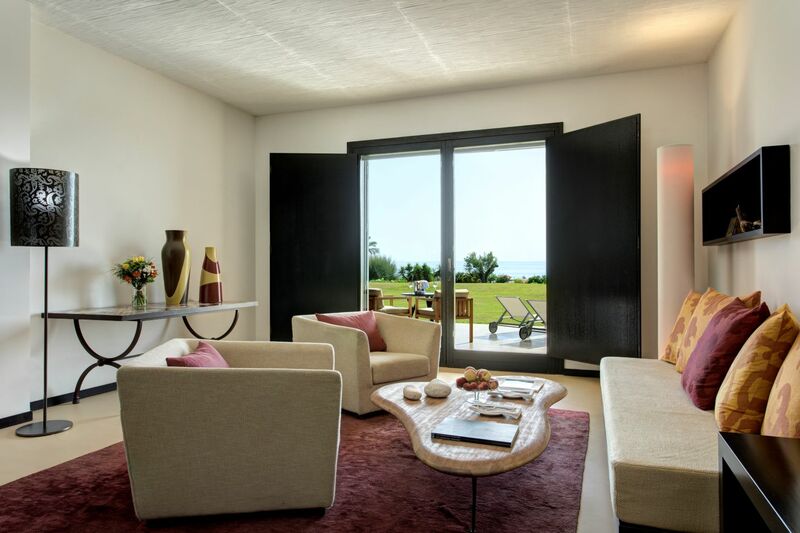 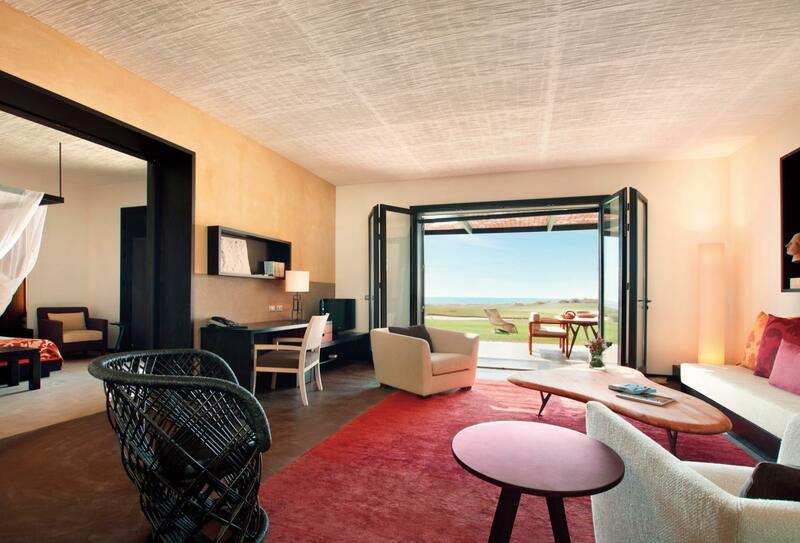 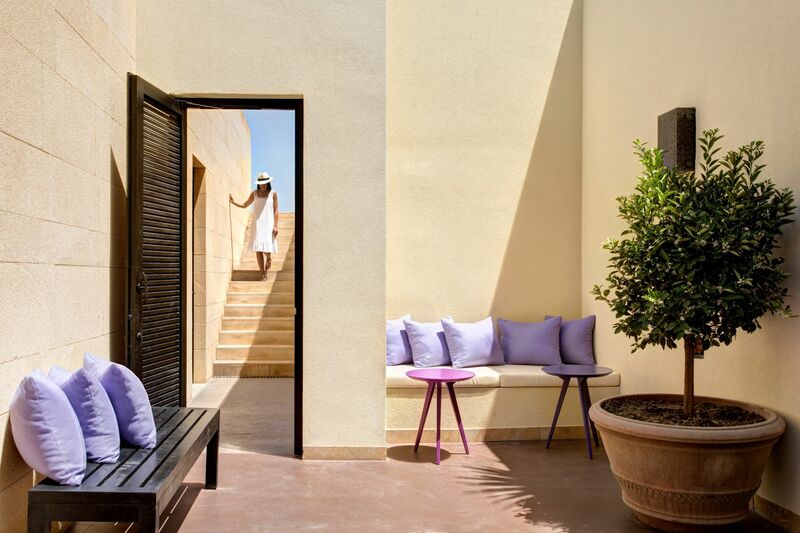 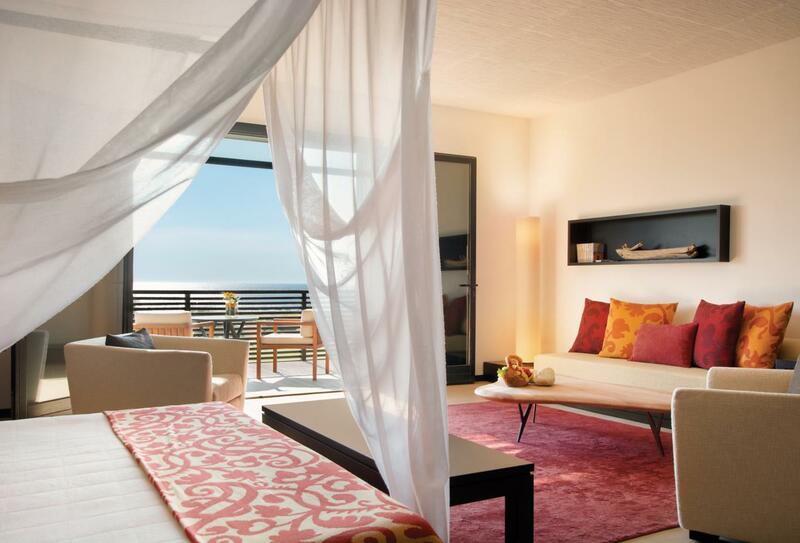 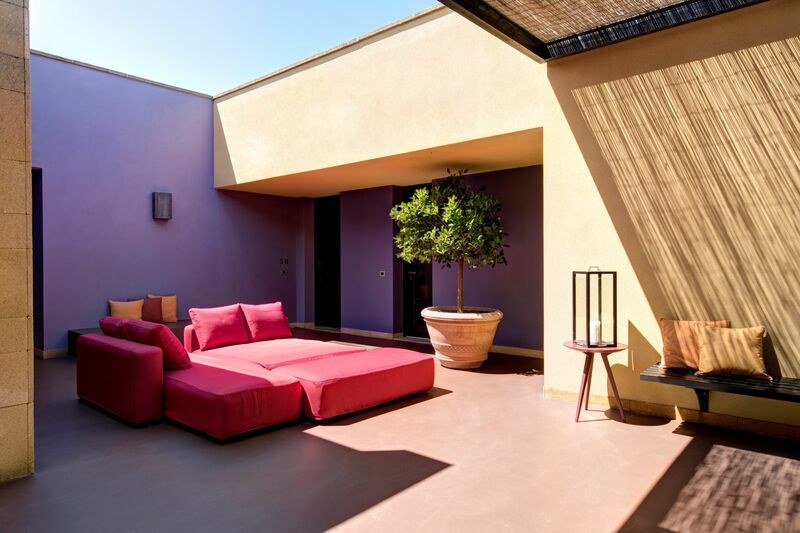 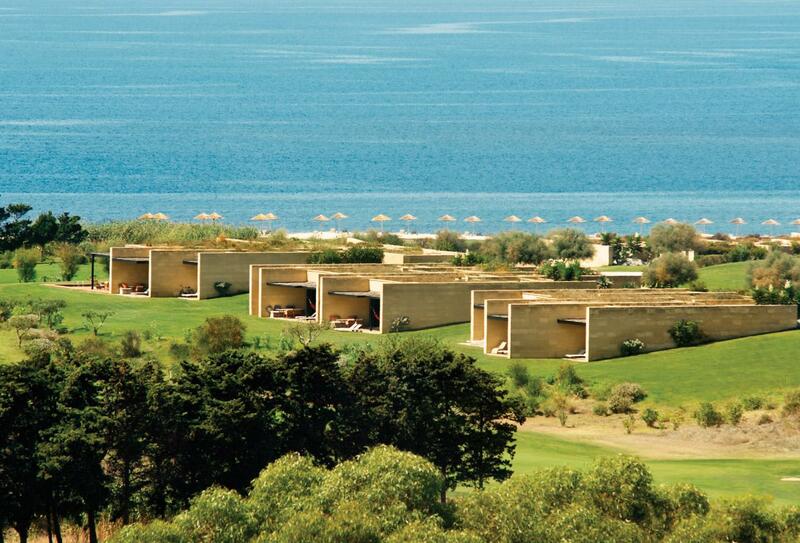 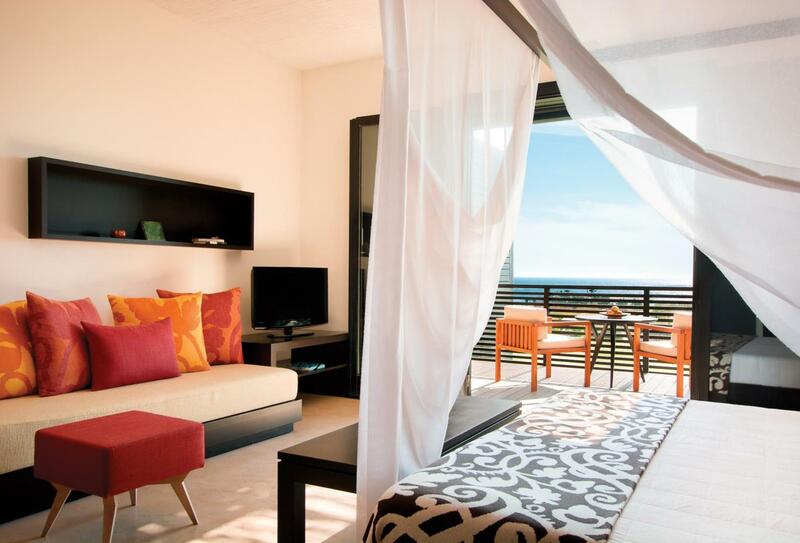 Designed with a contemporary Sicilian style, the Classic Suites offer guests sea views from the private terrace. 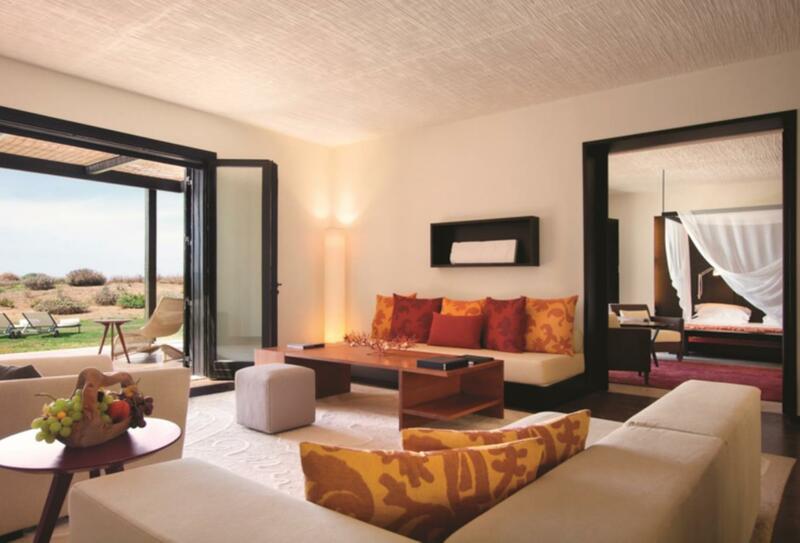 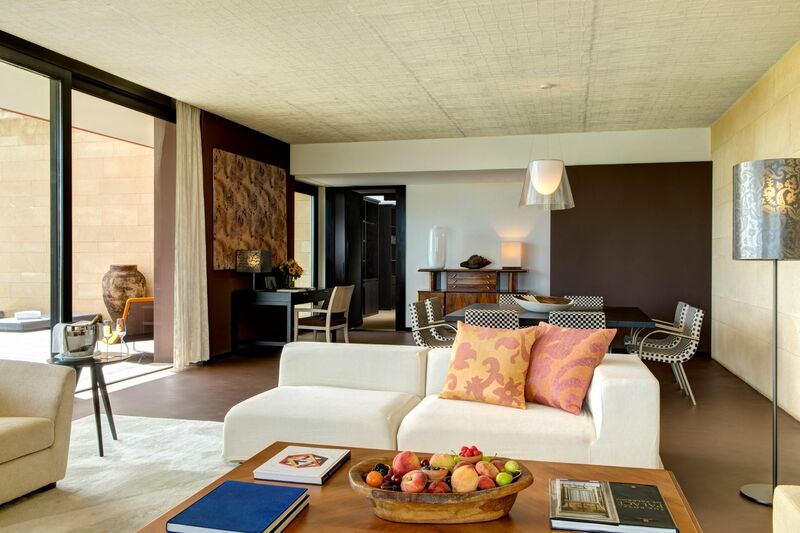 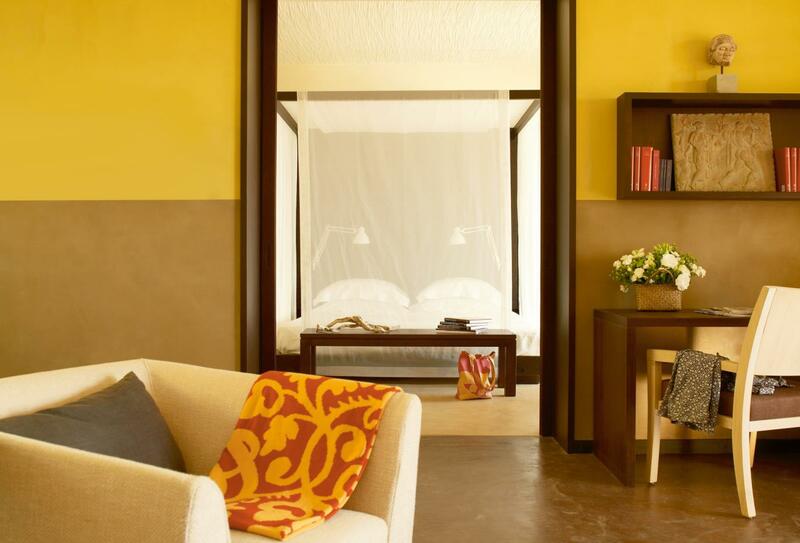 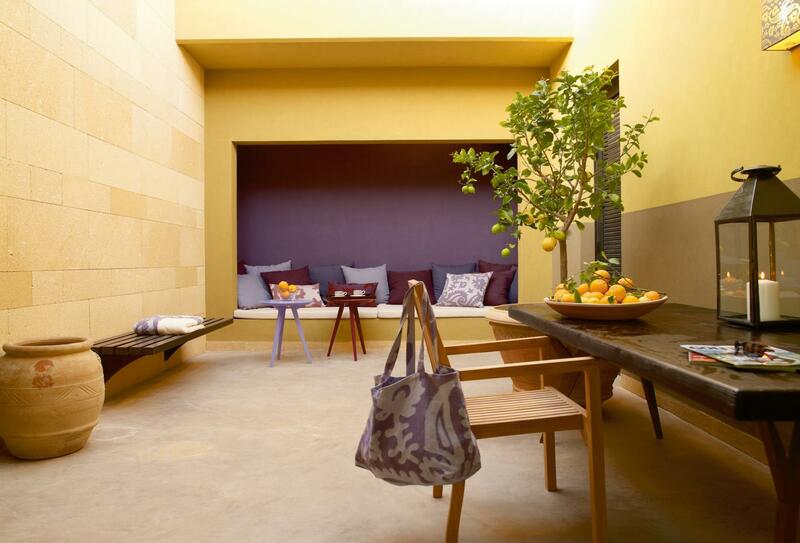 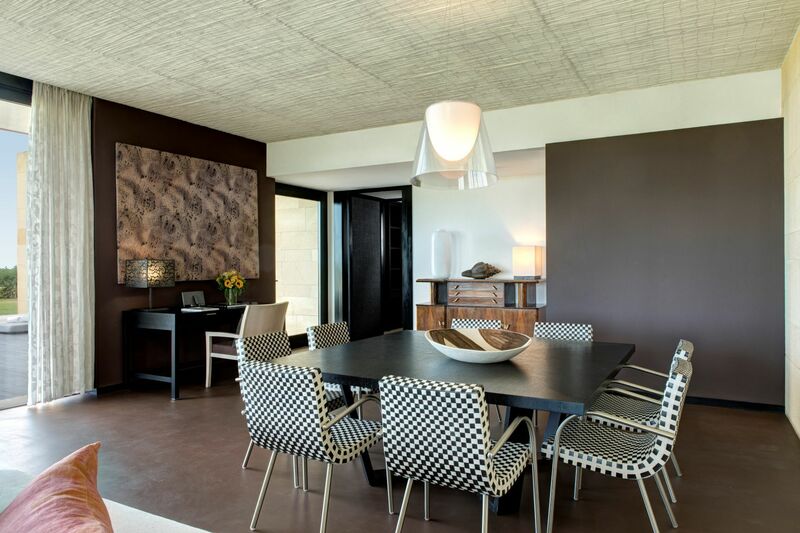 The grand suite offers a large separate living room, kitchenette and private courtyard. 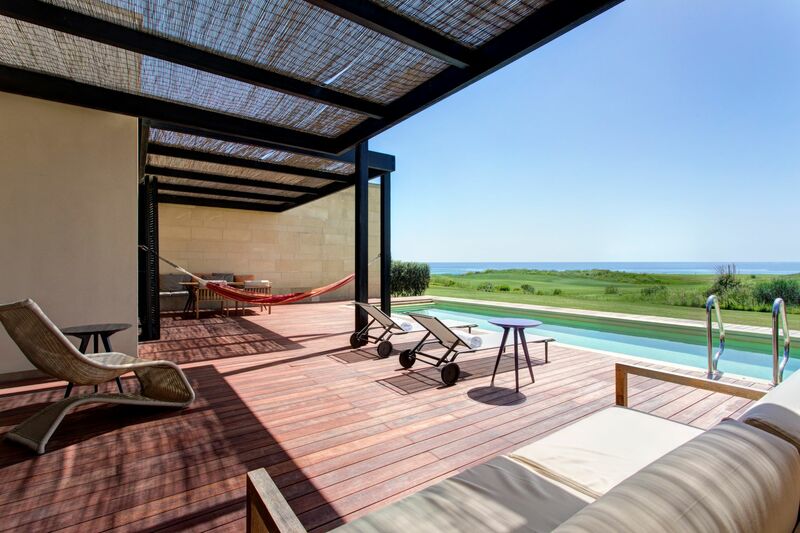 Villa Mimosa is just a short stroll from the sand, with a double terrace, private pool and a hammock. 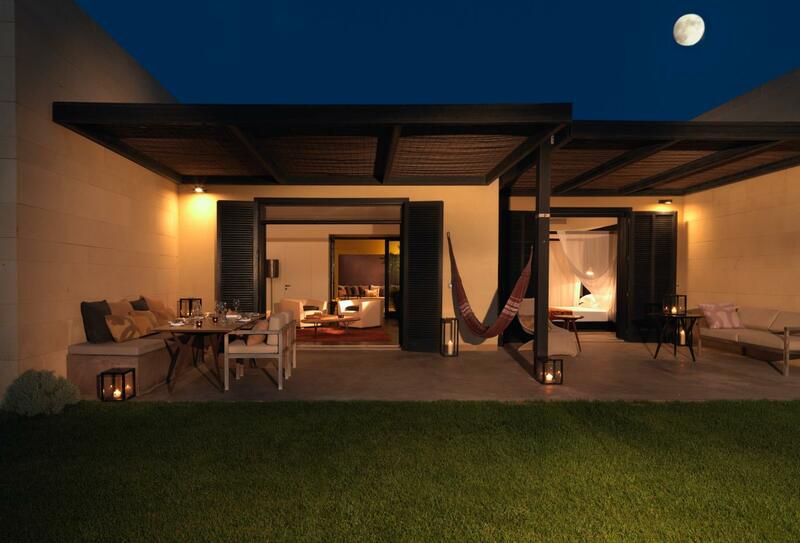 In a beautiful setting near the water, this three-bedroom villa boasts a private double terrace and private pool, dining area, sitting space and poolside hammock. 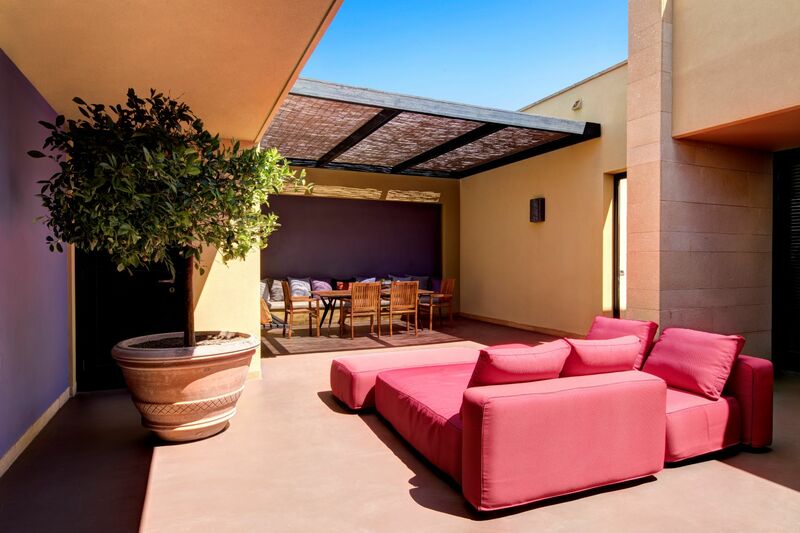 The Villa Acacia boasts three outdoor terraces, one with a private pool and sun loungers, another with a Jacuzzi and the last with a large dining space. 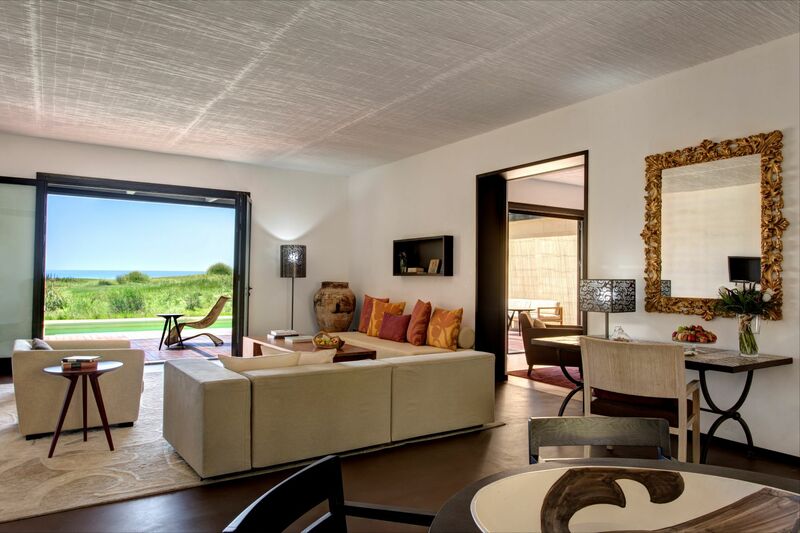 The villa has three bedrooms, three bathrooms and a large lounge area. 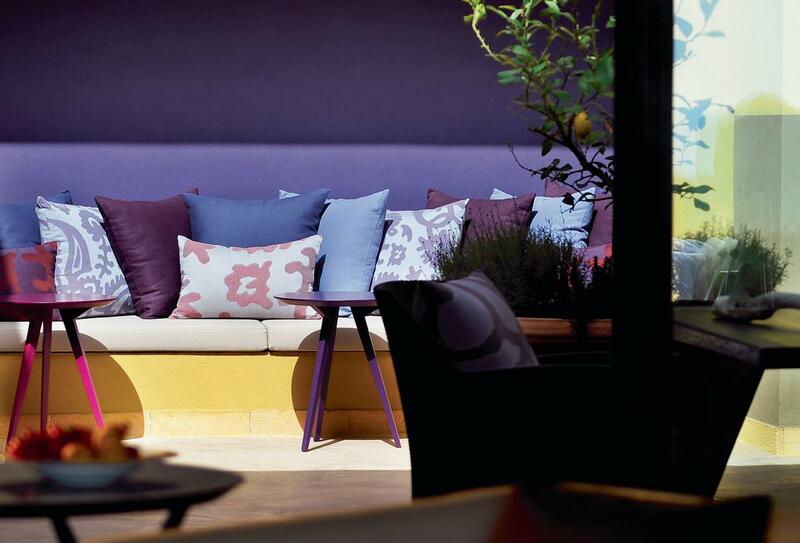 The Granita bar offers you a range of Tapas style Mediterranean dishes throughout the day. 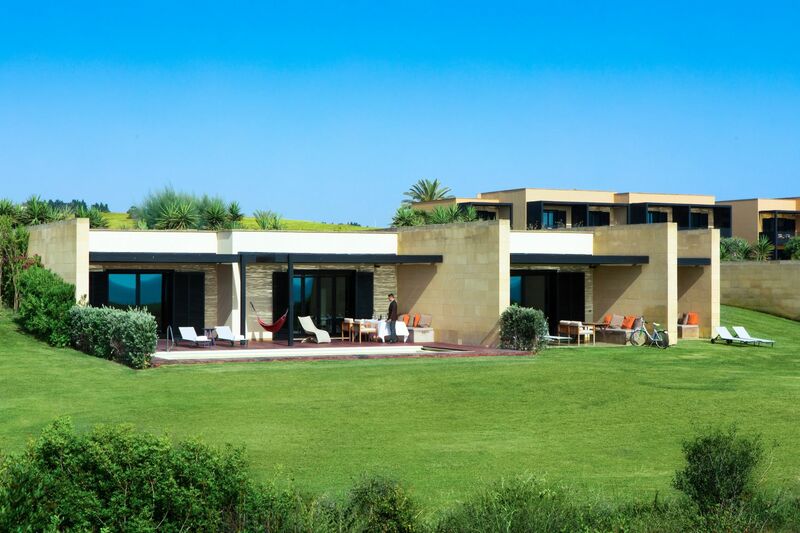 The bar has large terraces overlooking the pool and gardens with views of sea and mountains. 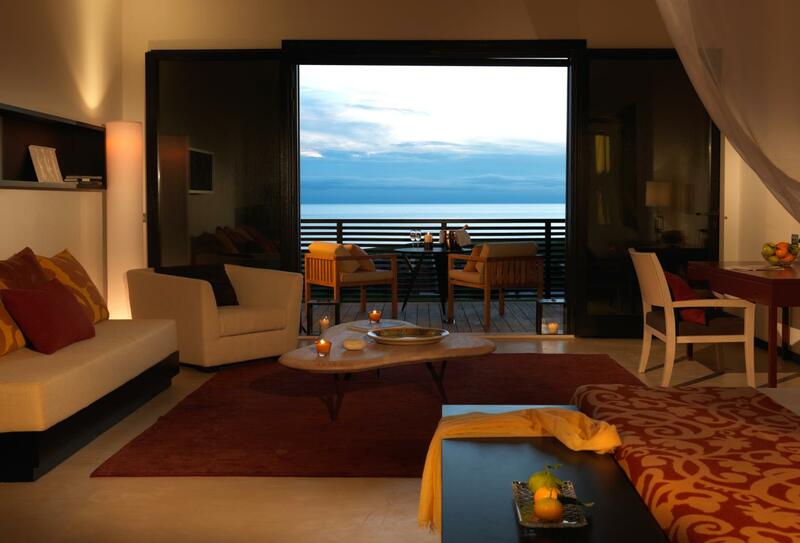 The Torre Bar serves a variety of cocktails and snacks during the day with live entertainment played nightly by local jazz musicians. 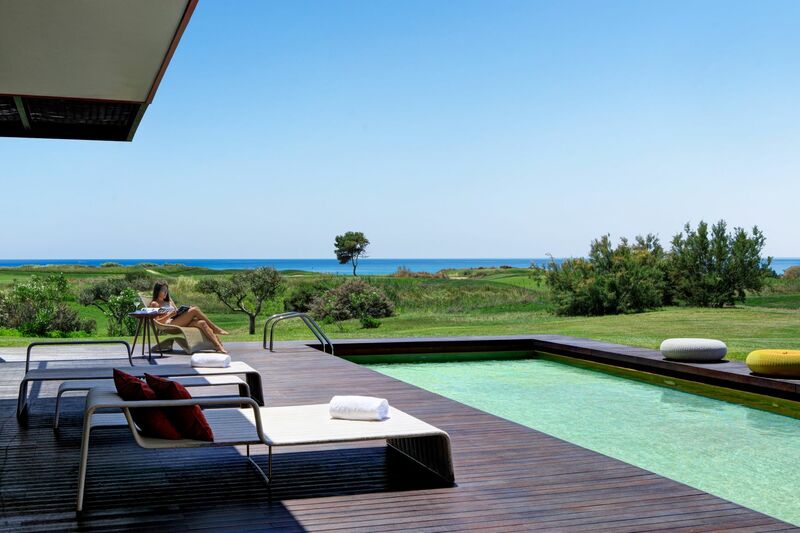 The Pool Bar serves a variety of drinks including cocktails plus light bites such as sandwiches, salads and burgers. 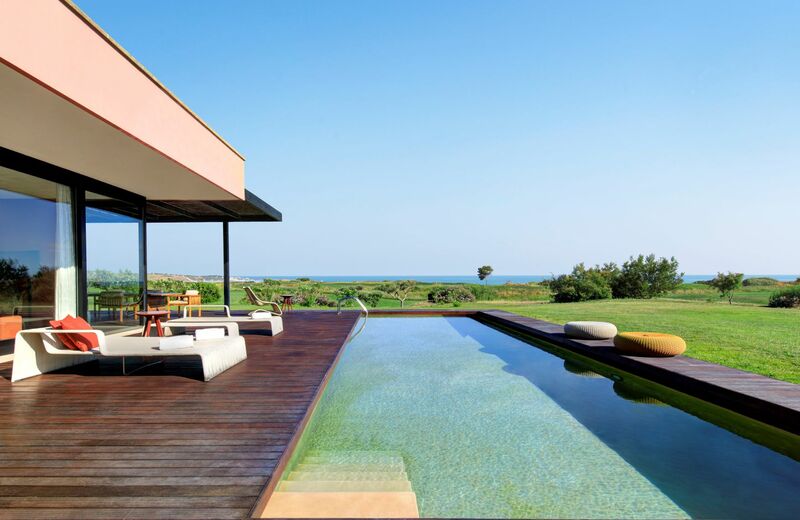 Seats 100. 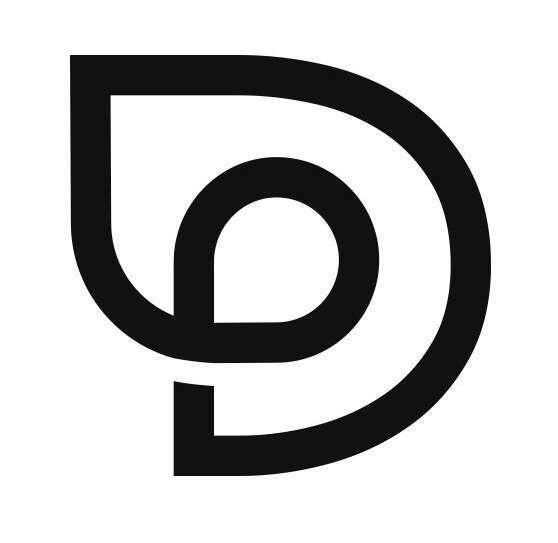 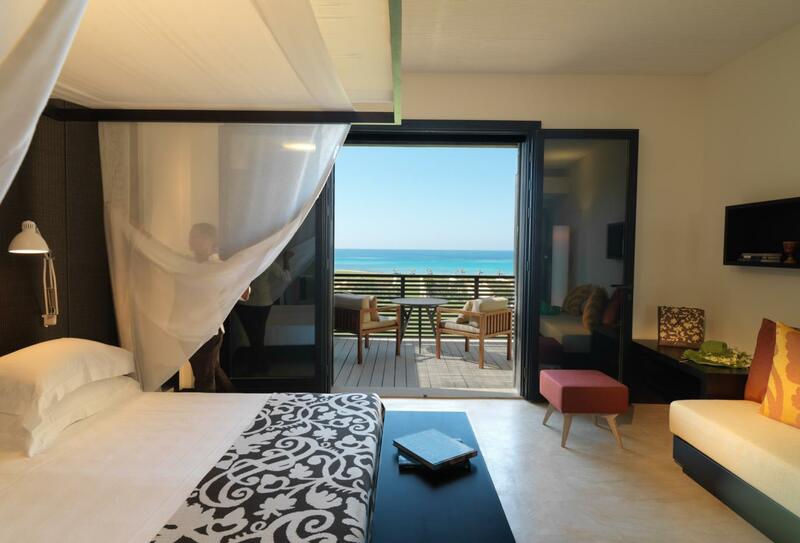 Open June to October. 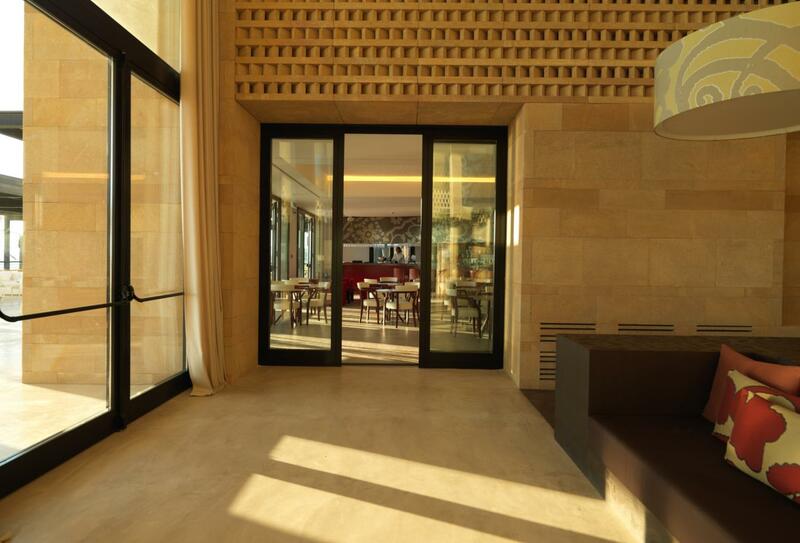 Choose from an a la carte menu or choose from the breakfast buffet with indoor and outdoor dining areas. 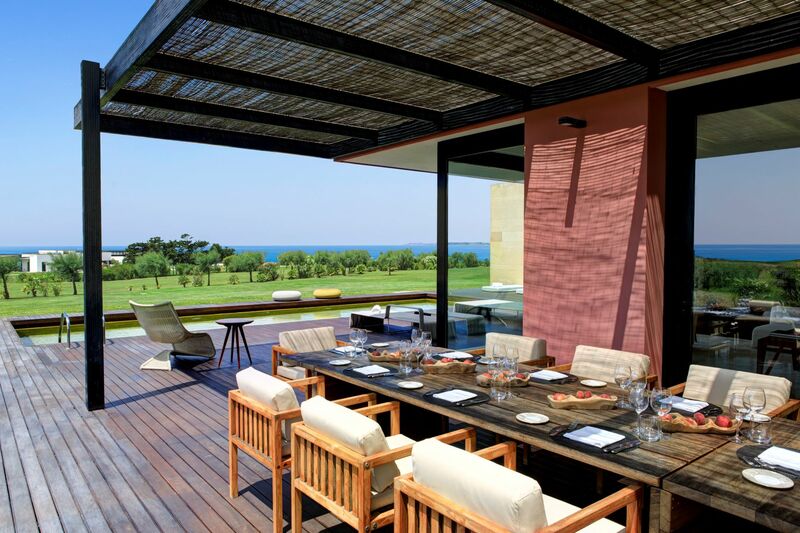 Zagara restaurant serves Mediterranean cuisine including locally seafood and has an outdoor terrace. 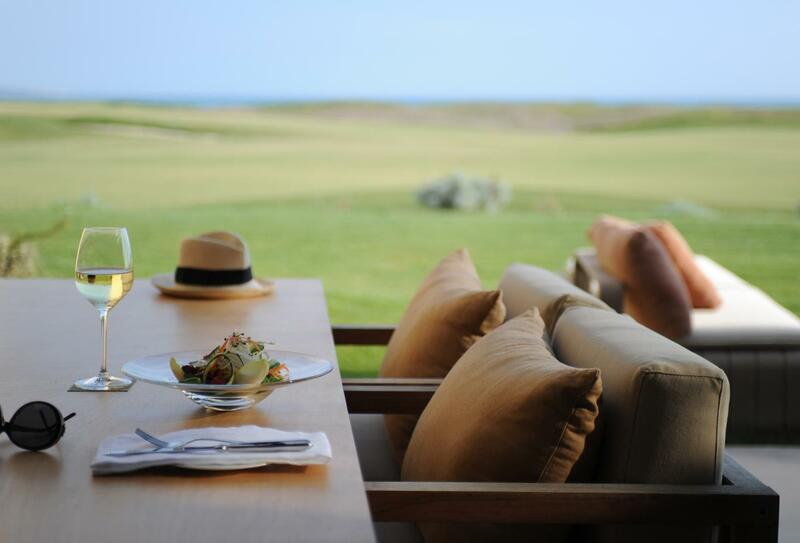 Amare is a seafood restaurant along the beach. 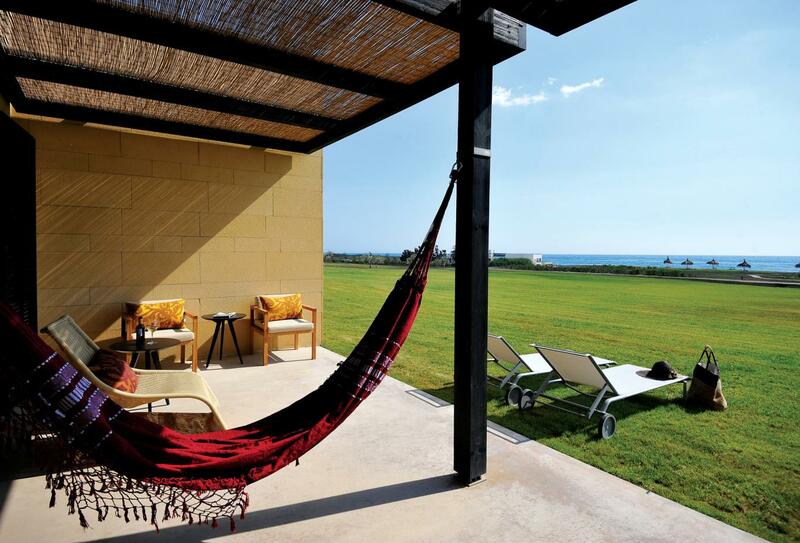 Liola restaurant is a typical Sicilian Trattoria with cliff top views of the sea.? 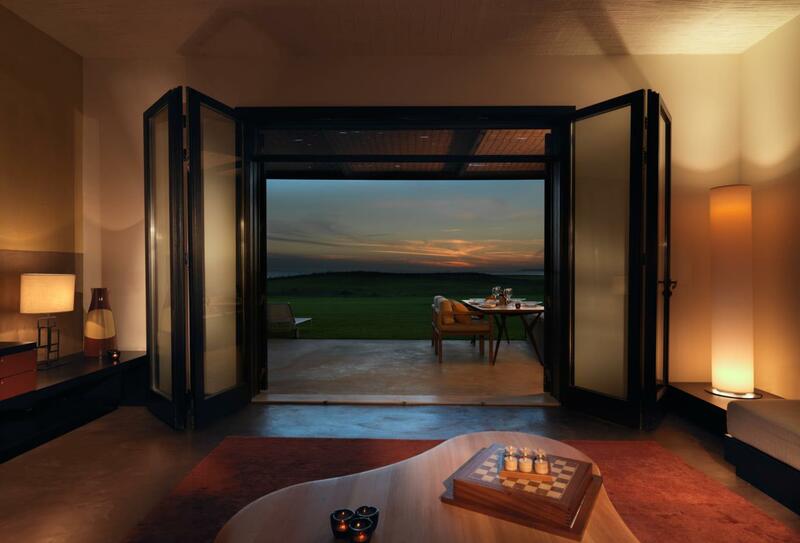 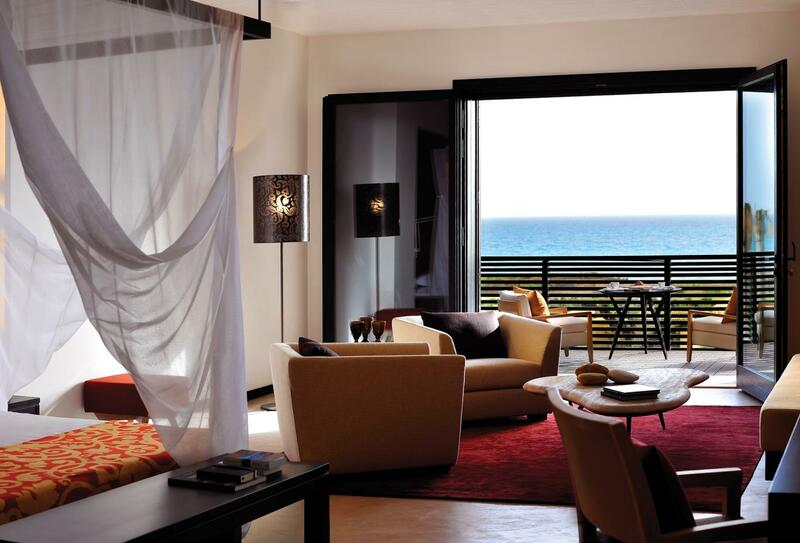 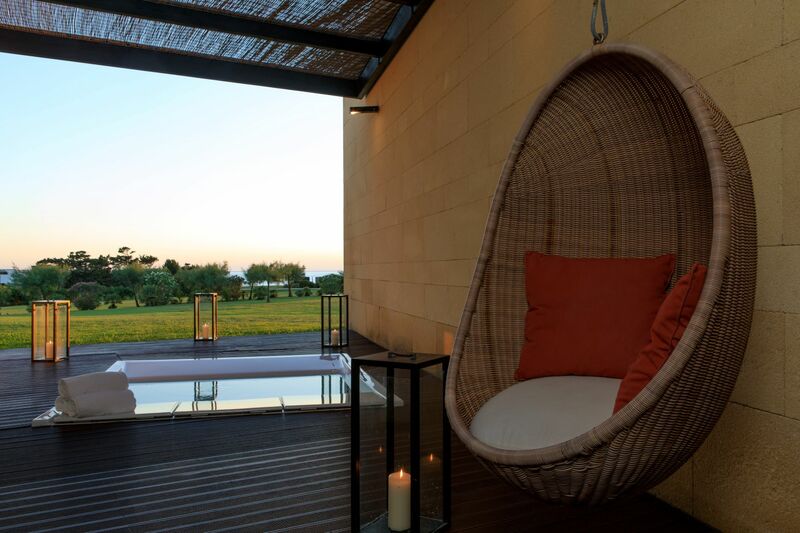 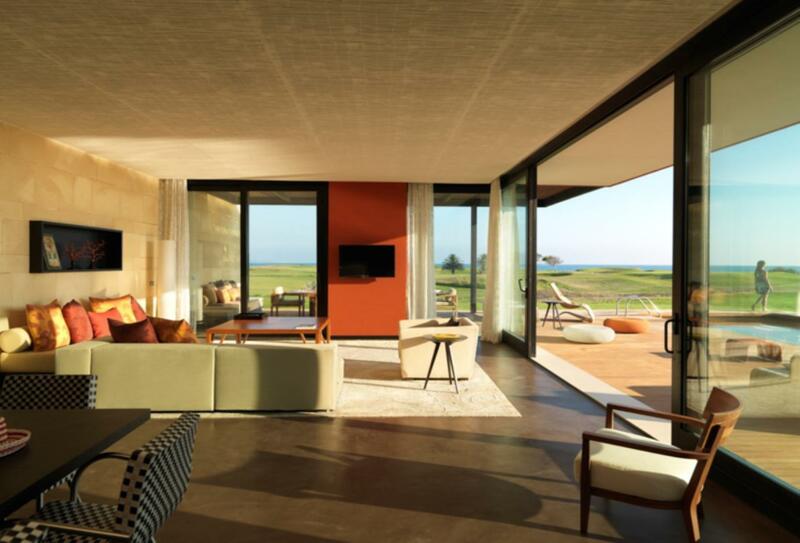 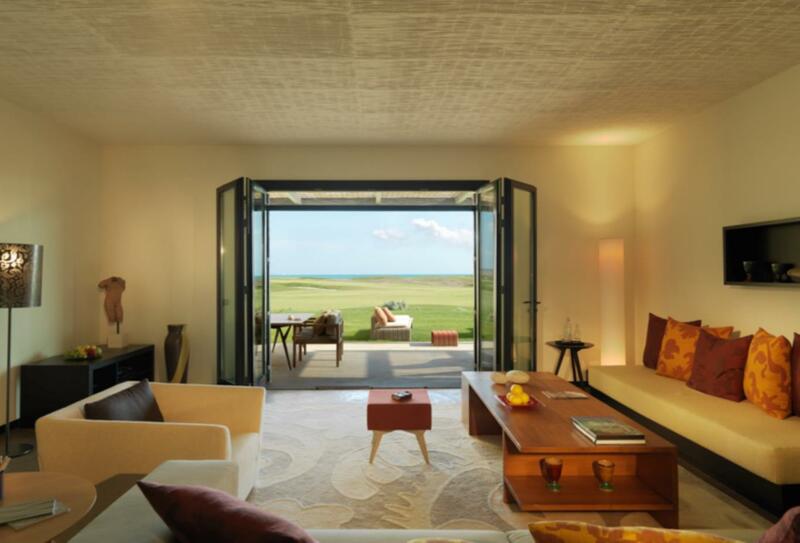 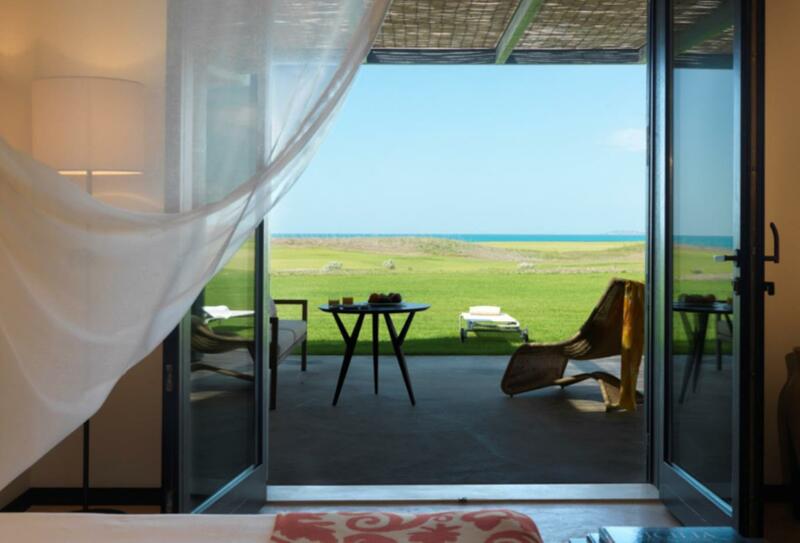 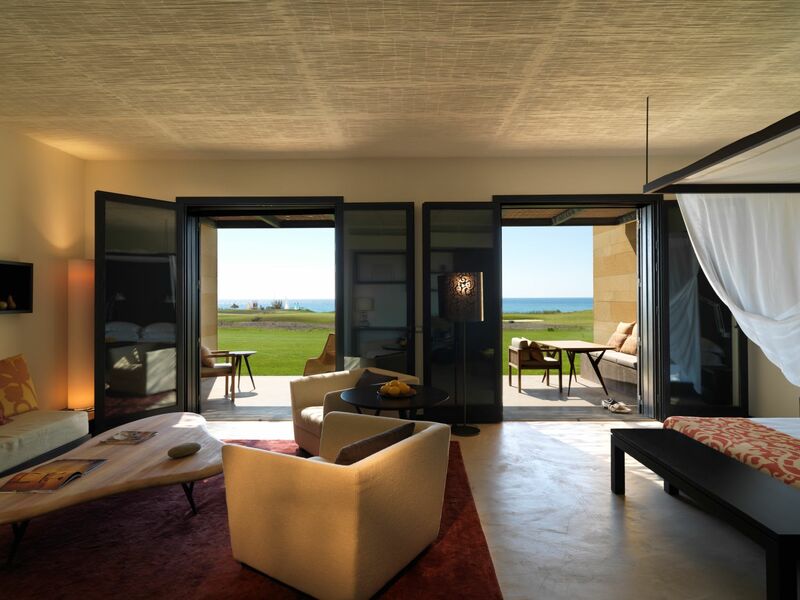 The Verdura Resort is located on the south-west coast of Sicily and is only 15 minutes from seaside town of Sciacca and a 1 hour 20 minutes from Palermo Airport. 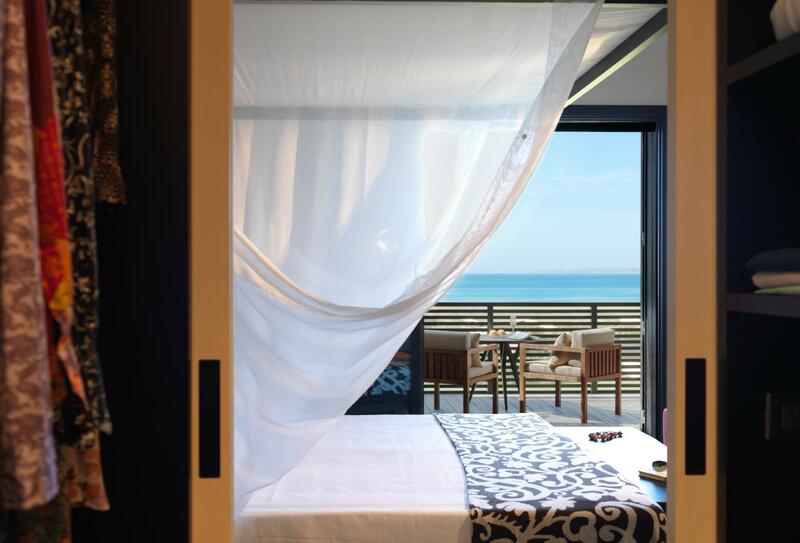 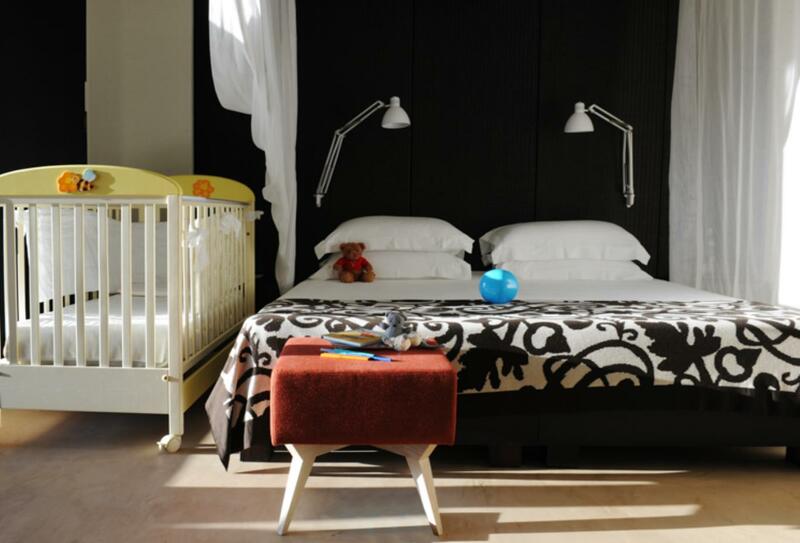 Verdura Resort extends a warm welcome to families with children and has an experienced team of professionals dedicated to ensuring facilities are as child-friendly as possible.